Mom's New Stage: Why I love Megabus! She was a native New Yorker with the driving skills of a collie. Her NYS driver license served mainly to get her hands on one Mr. Alco Hall. When she needed to travel it was public transportation. Or a ride from a friend. She met the man of her dreams and uprooted herself to Charlotte. Though terrified of driving, she learned. At 30. She had no choice. Local driving became fine, but long distance made her almost soil herself. Her college bestie in nearby Atlanta asked her to visit. She decided to take the bus instead of shelling out for a plane. One look at all the peeps armed with bags of Mickey Ds and KFC and she sprinted to the ticket kiosk for a refund, called her friend, and told her she’d see her another time. "A bus is a bad neighborhood on wheels." Don't shoot the messenger. . .
She and a friend decided to go to Bloggy Moms 2012 in Cincinnati. Her friend would drive the whole way! Score! Then her friend canceled. &%$& it all!!! Flights were too spendy. The train was as fast as being pulled by cats. As for driving, all she could think about was being mangled in a spectacular incident of vehicular carnage like in a Troy McClure video on The Simpsons. Her friend suggested the Megabus. Said her in-laws took it and loved it! Could she? She imagined herself trapped in a tin can full of Big Macs and dry heaved a little. But the bus got great reviews, even from snobs. It had wi-fi and outlets to charge your devices, and was clean and cheap! She bought a ticket, and told people incredulously, "Can you believe I'm taking the bus?!!!!!!" The day arrived. When her taxi pulled up to the corner of departure, her heart sank. Hordes of people waited. The ride was sure to be like the Middle Passage. But apparently there were several routes leaving from the same point and only a third of the people were ‘Nati bound. Like a true 47%er, she hoisted her luggage into the baggage hold, stated her destination, and prayed her luggage didn’t somehow wind up in Phoenix. She got her own seat. So far so great! She read. She napped. 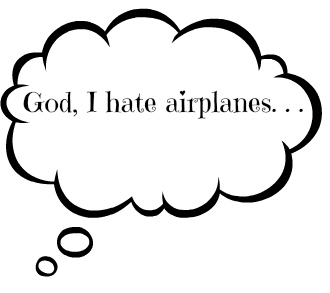 The most unpleasant thing was the gentleman in the seat diagonally ahead who took off his shoes. Nice feet (as a dancer she studied these things) but really? on the bus? and without shoes/socks to use the toilet (eeeeuuuuw! ), the toilet, which in size rivaled a box of pasta. She only had to go once. Thankfully, she didn't have her kids with her. The outhouse on wheels looked like it could swallow a small child whole. Rest stop. Location: West Jabook. While clean and convenient, it was a beef jerky oasis, filled with people who looked like extras from the Dukes of Hazzard. It turned her stomach. 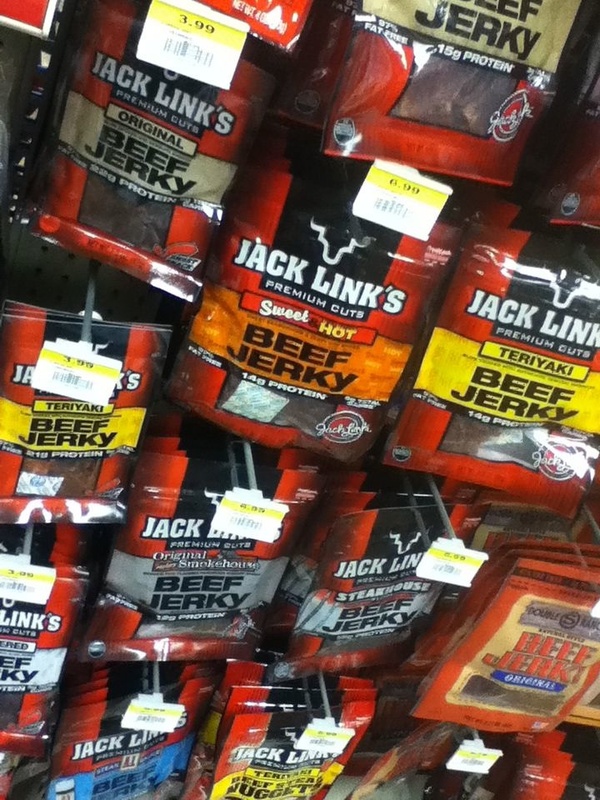 The beef jerky, not the extras. 90 minutes to go. She chatted on the phone as quietly as possible even though she was being the kind of selfish blabbermouth she loathed. Soon the bus entered rush hour traffic, wound its way downtown and then stopped at the corner of 5th and Race. On time. As a mom, 6 hours with nothing to do was a blast. As was the conference, which she spent acting like a 19 year old with the fabulous blogger at Full of It. She might just take Megabus somewhere again. To HOUSTON!!! 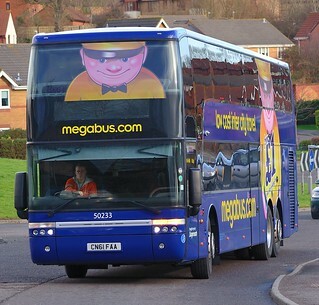 Megabus to Houston. See you in one week from never. Ha!